The following is from the Veterans Benefits Manual by NVLSP. In some situations, the veterans rating, or even the service-connected status of a disability, is protected. In these situations, the VA is entirely prohibited by statute or regulation from reducing a rating unless fraud was involved. A veteran with a protected rating that was obtained without fraud is guaranteed benefits at a certain minimum level for the rest of the veterans life. In other situations, the VA must ensure that certain requirements are met before it may lawfully reduce a disability rating level. If the requirements are not met, the improperly reduced benefits must be reinstated. For example, veterans who have been assigned 100 percent schedular evaluations or 100 percent evaluations based on individual unemployability, or veterans who have had ratings that have been in effect for five years or more, receive special protection. The various rules that protect veterans against reductions in ratings are discussed below. 520. For information on the severance of service connection, see Section 11. 521. See Dofflemyer, 2 Vet. App. at 280 (There is no question that a disability rating may be reduced; however, the circumstances under which rating reductions can occur are specifically limited and carefully circumscribed by regulations promulgated by the Secretary.). 522. See Hayes, 9 Vet. App. at 73; Kitchens v. Brown, 7 Vet. App. 320, 325 (1995); Brown v. Brown, 5 Vet. App. 413, 421 (1993). 525.Schafrath, 1 Vet. App. at 594. 526.Id. ; see alsoBrown, 5 Vet. App. at 421. 529.Brown, 5 Vet. App. at 419(citing 38 C.F.R. 3.344(a)). 530.38 C.F.R. 3.344(a) (2007); see alsoBrown, 5 Vet. App. at 419. 531.38 C.F.R. 3.344(a) (2007); see alsoBrown, 5 Vet. App. at 419. 532.38 C.F.R. 3.344(a) (2007); see alsoBrown, 5 Vet. App. at 419. 533.38 U.S.C.S. 110; 38 C.F.R. 3.951(b)(2007); SeeColayong, 12 Vet. App. at 531-32 (veterans 60 percent rating for Potts disease that has been in effect for at least twenty years is preserved by operation of law); C Dofflemyer v. Derwinski, 2 Vet. App. 277, 280 (1992) (a rating twenty days short of having been in effect for twenty years was not protected from reduction by 3.951(b)). 534. Gen. Coun. Prec. 68-91(Sept. 26, 1991). **Advocacy Tip** In some instances, the evidence reveals some improvement in the service-connected disability. If this is the case, advocates are advised to compare the most recent evidence with the earlier evidence used to continue or establish the 100 percent evaluation. If feasible, the advocate should argue that there has been no improvement. Alternatively, the advocate should argue that even though there has been some improvement in the service-connected condition, this is not significant enough to constitute material improvement because some improvement does not constitute material improvement. The regulations also preclude a reduction unless the improvement was attained under the ordinary conditions of life, i.e., while working or actively seeking work. 541 A private medical opinion stating that the claimant has not medically improved since the 100 percent evaluation was assigned or continued can be crucial in these cases. 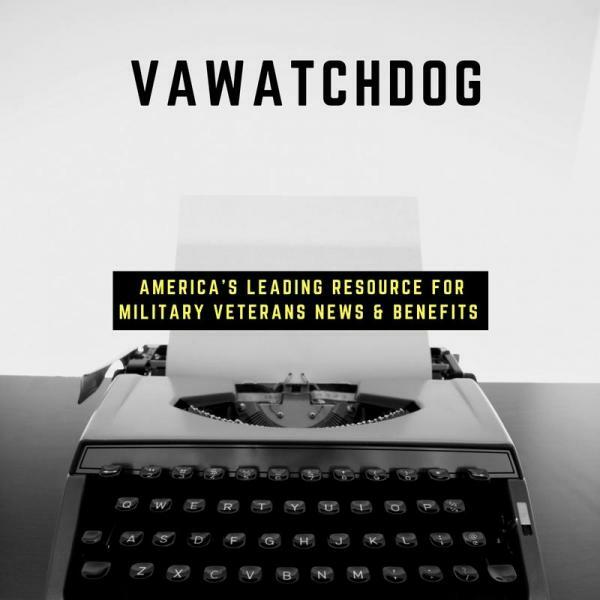 A common tactical advocacy error is to argue that the severity of the veterans service-connected condition still meets the definition of 100 percent in the rating schedule. As stated earlier, the issue is not what percentage evaluation the current symptomatology warrants but whether the service-connected condition has materially improved. Therefore, advocates should refer to the rating schedule but not rely on it exclusively. 535.SeeDofflemyer, 2 Vet. App. at 279-80 (The BVA incorrectly phrased the issue in terms of whether appellant was entitled to an increased rating; in fact and in law, the issue presented to the BVA, and to this Court, is not whether the veteran was entitled to an increase but whether the reduction of appellants rating from 100% to 10% was proper. ); Peyton, 1 Vet. App. at 286 (This is a rating reduction case, not a rating increase case). 537. 38 C.F.R. 3.343(a) (2007). Temporary 100 percent ratings are not subject to the general rule established by 38 C.F.R. 3.343(a) that reductions of a total rating be based on material improvement.See38 C.F.R. 4.28, 4.29, 4.30 (2007) (regulations governing prestabilization ratings and total ratings assigned because the veteran is hospitalized or convalescing). 538.SeeTernus v. Brown, 6 Vet. App. 370, 376 (1994); Dofflemyer, 2 Vet. App. at 280; Hohol v. Derwinski, 2 Vet. App. 169, 173 (1992). 539. 1 Vet. App. 308(1991). 540.Faust v. West, 13 Vet. App. 342, 349-50 (2000). 541.38 C.F.R. 3.343(a) (2007); seeTernus, 6 Vet. App. at 376; Dofflemyer, 2 Vet. App. at 280; Hohol, 2 Vet. App. at 173; Karnas, 1 Vet. App. at 308. 542.Hohol, 2 Vet. App. 169, 173 (1992); Gleicher v. Derwinski, 2 Vet. App. 26, 28 (1991); Karnas, 1 Vet. App. at 311; seealso Manual M21-1MR, Part III, subpart iv, 8.D.14(b). 543.38 C.F.R. 3.343(c) (2007). SeeFaust, 13 Vet. App. at 356. In that case, the CAVC held that evidence that indicates that a veteran is engaged in substantially gainful employment establishes that the veteran is capable of actual employability.Id. See Section 5.1 for a discussion of substantially gainful employment. Examination reports reflecting any such change must be based on thorough examinations. **Advocacy Tip** The following argument includes boilerplate language that an advocate may wish to use in such a case. VA regulations impose a duty on the VA to make an explicit finding that the preponderance of evidence shows that there has been improvement in any disability rating that the VA proposes to reduce. Specifically, 38 C.F.R. 4.1 (2007) states that [i]t is . . . essential, both in the examination and in the evaluation of the disability, that each disability be viewed in relation to its history. Similarly, 38 C.F.R. 4.2 (2007) establishes that [i]t is the responsibility of the rating specialist to interpret reports of examination in light of the whole recorded history, reconciling the various reports into a consistent picture so that the current rating may accurately reflect the elements of disability present. These provisions impose a clear requirement that VA rating reductions, as with all VA rating decisions, be based upon review of the entire history of the veterans disability. . . . Furthermore, 38 C.F.R. 4.13 (2007) provides: When any change in evaluation is to be made, the rating agency should assure itself that there has been an actual change in the conditions, for better or worse, and not merely a difference in [the] thoroughness of the examination or in use of descriptive terms. Thus, the VA is required to review the entire evidence of record and to determine and make an explicit finding as to whether the evidence shows that there is an actual improvement in a veterans disability since the last rating decision which either granted or continued the disability rating before the VA may reduce the disability rating. outline the time period in which application of 38 C.F.R. 3.344 (stabilization of disability evaluations) is based cite evidence of sustained improvement after one review examination, or a preponderance of evidence showing sustained improvement based on more than one examination and explain why it is reasonably certain that improvement will be maintained under the ordinary conditions of life. Therefore, the VA may not lawfully reduce a disability rating unless it addresses whether the condition has actually improved since the time it was either granted or continued. 544.SeeSmith (Raymond L.) v. Brown, 5 Vet. App. 335, 339 (1993). 545.13 Vet. App. 342, 349 (2000). 546.Brown v. Brown, 5 Vet. App. 413, 420-21 (1993). See alsoLehman v. Derwinski, 1 Vet. App. 339, 342-43 (finding that the Board violated 38 C.F.R. 4.1, 4.2 where the Board relied upon one medical report which drastically differed from all other evidence of record without reconciling the evidence). 549. Gen. Coun. Prec. 19-92(Sept. 29, 1992). 552.SeeGreyzck v. West, 12 Vet. App. 288, 292 (1999); Kitchens v. Brown, 7 Vet. App. 320, 325 (1995); Murincsak v. Derwinski, 2 Vet. App. 363, 369 (1992); Schafrath, 1 Vet. App. at 595 (1991);Dofflemyer, 2 Vet. App. at 282; Hohol, 2 Vet. App. at 173; Schafrath, 1 Vet. App. at 595-96; Lehman, 1 Vet. App. at 342. 553.Dofflemyer, 2 Vet. App. at 282; Schafrath, 1 Vet. App. at 596. 554.Schafrath, 1 Vet. App. at 596; see alsoHayes, 9 Vet. App. at 73; Kitchens, 7 Vet. App. at 325; Brown, 5 Vet. App. at 422. A benefit of asking for a hearing within the 30-day period is that implementation of any reduction of benefits is delayed. In compensation cases, the adverse action will never be implemented until at least 60 days after notice of the final action is sent to the claimant. 572 Thus, a claimant requesting a hearing can buy at least two months of benefits at the level in effect at the time of the notice. **Advocacy Tip** Claimants faced with a proposed reduction of a running award of compensation should always ask for a hearing within thirty days of the date of the notice of the proposed decision. This request will work to prevent implementation of the reduction for the longest possible period, because the adverse action will not be final until after the hearing. ** Advocacy Tip** Advocates are advised to argue that if a rating decision retroactively establishes an evaluation at a certain percentage, that evaluation is protected and thus the VA should apply and consider all protective regulations 573 before the evaluation is reduced. Note, however, that this issue was not addressed in Fenderson, 574 nor has it been litigated before the CAVC. The Veterans Claims Assistance Act of 2000 (VCAA or Act) impacts the type of notice that is sent to claimants when the VA proposes to reduce the veterans disability rating. The VCAA requires the VA to notify all claimants and their representatives of any information, and any medical or lay evidence, not previously provided to the Secretary that is necessary to substantiate the claim. In addition, the VA is required to explain to the claimant what evidence the claimant must obtain and what evidence the VA will attempt to obtain. Therefore, when the VA proposes to reduce a disability rating, the notice required by the VCAA should include advice as to the type of evidence, both medical and lay, that the veteran should submit to avoid a reduction in the disability rating. 557.38 C.F.R. 3.103(b)(2), 3.105(e) (2007); see alsoManual M21-1MR, Part III, subpart ii, 3.A (due process procedures for reductions and severance of service connection). 558.38 U.S.C.S. 5104; 38 C.F.R. 3.103(b)(2) (2007). 559.;See also 38 C.F.R. 3.103(b)(2), 3.105(d),(f) (2007). 560.38 C.F.R. 3.105(d), (f) (2007). 564. Gen. Coun. Prec. 71-91(Nov. 7, 1991). In the particular case that produced this VA General Counsel opinion, the claimants compensation payment at the 100 percent level was unaffected even though his rating for residuals of gunshot wounds was reduced from 20 percent to 0 percent. This result occurred because another of the claimants disability ratings was increased from 70 percent to 100 percent, thus leaving the overall amount of compensation paid to him unaffected. 565.VA regulations specify the procedures that the VA is to follow when it receives oral information from a claimant. See38 C.F.R. 3.217(b) (2007). The VA may not take action based on oral information or statements unless the VA employee receiving the information follows certain procedures. For example, during the conversation with the claimant, the VA employee must identify himself or herself to the claimant as a VA employee who is authorized to take the action. The VA employee must verify the identity of the claimant by obtaining information that can be verified from the claimants VA records such as social security number, date of birth, branch of military service, or dates of military service. 38 C.F.R. 3.217(b)(1)(i)-(ii) (2007). The VA employee must inform the claimant that the information or statement will be used for calculating benefits. 38 C.F.R. 3.217(b)(1)(iii) (2007). Finally, the VA employee must document the conversation in the claimants VA records by recording the specific information or statement that was provided, the date that statement or information was provided, the identity of the claimant or person who provided the information, the steps taken to verify the identity of the claimant, and that the VA employee advised the claimant that the information would be used for purposes of calculating benefit amounts. 38 C.F.R. 3.217(b)(2) (2007). 573.See 38 C.F.R. 3.327(b)(2), 3.343(a), 3.44(a) (2007). Sometimes, the VA seeks to sever (terminate) the veterans previously granted service connection entirely. This could be for a number of reasons, the most common being: (1) fraud and (2) clear and unmistakable error in the original service connection determination. 575 Both of these will be explored below. The process for severing service connection is identical to that for reduction of benefits, and the due process protections are the same. 576 For a description of that process, see Section 5.10.7. 575.Service connection may also be severed because of a change in law or VA issue, or a change in interpretation of a law or VA issue (in which case 38 C.F.R. 3.114applies), 38 C.F.R. 3.105(d) (2007). 576.Compare 38 C.F.R. 3.105(d) (2007) with 38 C.F.R. 3.105(e), (f), (g) and (h) (2007). 577.38 U.S.C.S. 1159; 38 C.F.R. 3.957(2007). 578.71 Fed. Reg. 52290 (Sept. 5, 2006). 579.See38 C.F.R. 3.900 through 3.905 (2007). 580.See38 C.F.R. 3.905(b); see also Trilles v. West, 13 Vet. App. 314 (2000) (good discussion of the law and procedures governing forfeiture). 581.See Trilles, 13 Vet. App. at 319. 582.Flores v. Nicholson, 19 Vet. App. 516(2006). According to 38 C.F.R. 3.105(d), service connection will be severed only where evidence establishes that it is clearly and unmistakably erroneous. The burden of proof is on the Government. 583.See Section 2.3of this Manual. 584.Allen (and Key) v. Nicholson, 21 Vet. App. 54, 59 (2007) (postdecisional evidence is relevant in determining whether the granting of service connection was clearly and unmistakably erroneous) (citing Daniels v. Gober, 10 Vet. App. 474, 480 (1997)); Stallworth v. Nicholson, 20 Vet. App. 482, 488 (2006) (the Secretary is not limited to the law and the record that existed at the time of the original decision). 590.at 58 (citing Venturella v. Gober, 10 Vet. App. 340, 342 (1997)). 591.Allen, 21 Vet. App. at 63.